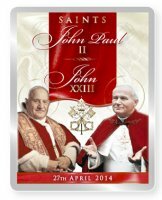 Fridge Magnet John Paul II & Pope John XXIII. 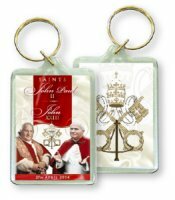 Key Chain John Paul II & Pope John XXIII. Metal Rosary Pope Benedict & John Paul with a Rosary Box. 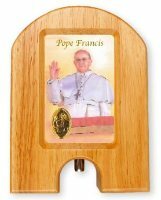 Crystal Rosary & Prayer Card Pope Francis. Pope Benedict 16th Car Plaque. 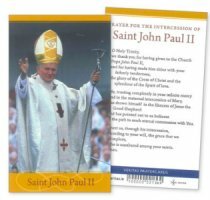 Saint John Paul II Prayer Leaflet.